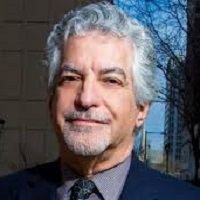 Alan Greenberger | Econsult Solutions, Inc.
Alan Greenberger was the Deputy Mayor for Economic Development and Director of Commerce for the City of Philadelphia from 2009 through 2015 under the administration of former mayor Michael Nutter. He also served as Executive Director and then Chairman of the Philadelphia City Planning Commission during that period. Prior to that, he was in private practice as an architect and planner with MGA Partners and its predecessor, Mitchell/Giurgola Architects, firms that gained national and international stature for design excellence. In his dual role in city government, Mr. Greenberger oversaw the integration of long-range strategic planning with implementation of both business and real estate development goals. Under his leadership, the City of Philadelphia rewrote the Philadelphia Zoning Code and initiated a five-year long comprehensive plan for the city, entitled Philadelphia 2035. Both initiatives are the first of their kind for the city in over 50 years and are the recipient of the American Planning Association’s National Best Practice Award for City Planning in 2013. Mr. Greenberger’s office also launched multiple programs to attract and support a burgeoning entrepreneurial community, called StartUpPHL, and was successful in attracting new, technology and venture capital firms to Philadelphia, in addition to expanding business opportunities for small, minority and women-owned businesses throughout the city. During his 34 years in private practice, he was the principal designer on numerous award-winning architectural, urban design and planning projects. Among his notable projects are the Salvation Army Kroc Corps Community Center in Philadelphia, the renovation of Lehigh University’s historic Linderman Library, the Department of State’s National Foreign Affairs Training Center, and the Master Plan for the Centennial District in Philadelphia’s Fairmount Park. 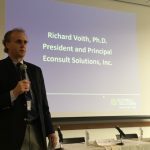 He has served on the boards of numerous civic and cultural organizations in Philadelphia including the Association for Public Art, the Delaware River Waterfront Corporation, the Philadelphia Industrial Development Corporation and the Philadelphia Redevelopment Authority. He is also a co-founder of the Design Advocacy Group of Philadelphia, a 1000-member organization that is a model of design advocacy nationwide. Mr. Greenberger’s career spans traditional practice and now public service during a period in which Philadelphia, the nation’s fifth largest city, experienced unprecedented population growth and redevelopment. As the Nutter administration came to its term-limited end, Mr. Greenberger led a successful effort to have the city named as a member of the Organization of World Heritage Cities, the first and only American city to achieve this honor. He has been the recipient of several personal honors including, most recently, the AIA Pennsylvania 2014 Government Award and the AIA Philadelphia 2015 John Harbeson Award for lifetime achievement. In 2009, he was made a Fellow of the American Institute of Architects. Mr. Greenberger’s career has always including teaching in addition to his professional and public service accomplishments. He has served on the respective faculties of architecture and city planning at Drexel University and the University of Pennsylvania and has been a guest lecturer at universities here and abroad.